Corrie McKeague has been missing since September 24th 2016. He went missing from Bury St Edmunds Suffolk and was last seen on CCTV at 3.25 am. The situation with Corrie has become quite intense and many reports are now floating around Google. I want to look at this situation WITHOUT combing for information which could colour my view of what Tarot tells me. I can only write down what I see and hope that something will be useful. Tarot is not guaranteed 100 per cent and there are absolutely no guarantees on Location information whether written or by map link. Tarot is an experiment that has been ongoing for some years on cases of the missing and one can only strive to refine the methods of breaking down information that may help as clues. As with all cases I do realise that 'times' of disappearance may vary but I am going to assume that the early hours of the morning last sighting on CCTV is correct ie that the press has recorded that timing properly. My first card is the Knight Pentacles and this is reversed. The numbers on this card are 12, 2. 1, 3, 6 and 9. These numbers may relate to distances, routes or timing. Any may apply. If distances they could be 'part' numbers. Someone is taking their time in this card and not rushing. Pentacles are usually North but this card is reversed. Felt like he was followed or stalked. Possible White vehicle or the name WHITE. Firstly though I want to revert to my numbers and directions. The card represents North but other directions attributed are also South East. Im just going to 'write' and what I think is that there is someone here who is jealous or something has bothered somebody. As I have a link to music here, it could be someone connected to a music place. This card could show that there might have been some kind of skirmish maybe disagreement . Im not sure but this could somebody else who might have a slightly disagreeable nature. I could be wrong but this card tells me that someone may have had too much to drink and doesnt have any money left or they have over spent. This card can represent transport and someone is sick or feeling sick. I am seeing a person who COULD be described as someone with a strong well-set stature seemingly not tall with a broad forehead, large head, prominent eyes, mouth and lips dark hair or complexion but their hair is kind of black rugged hair. The person MIGHT be ethnic origin not always a safe description but that is what I have and they have gross hands. The other description on this card is someone with fair hair so I just feel that there must be two people here. One of them must be Corrie? Im seeing something about the throat neck and shoulders. Usually this card would show me someone who is going from one location to another. Because this card is reversed, I cannot decide if Corrie left where he was last seen and only did 'part of the journey' likely back to RAF Honnington if he came from there in the first place, OR he didnt actually go far from where last seen. The difficulty is I do see transport but I cant seem to see a completed journey if that makes sense. I keep thinking that he could have had something taken off him or someone 'envied' him a weird kind of way it almost doesnt make sense but he has a good job and at the same time I feel like 'did he really want to do what he was doing'? very confusing feelings with this Knight for me. Part of me wants to think that he was followed and he could have got into a vehicle but this is a 'bogus' card. Say if you had a taxi driver they are not really a taxi driver or if he took a lift he might not have had enough money to pay the fare. There is something about finances here and a vehicle. I thought I saw a skip unless he intended to 'skip town' himself. But it seems to me like a vehicle stopped and he didnt want to confront a situation. This card can see him between town/country so that is why I felt if he was making his way back to the camp he didnt make it all the way back, or what he set out to do there was some kind of change of mind/direction or action. I can see that he had been tired, his food did not agree with him. I am seeing something about pets? an animal? or someone who acted that way? Im going to write some directions down but these are for the map purposes. Im concerned that this card looks like this boy has gone awol, but I need to continue for now and see what the other cards say so that I can get some all round view. There could be a vehicle that broke down, came off the road, flat tyre possible, long walk? OR stationary car/cars? Seeing rural ground, stream, something to do with animals? possible word Mountain or a brown mound. Seeing footprints? or fingerprints here I dont know why. Trashed building, burglary? breaking into something/somewhere. I am not attaching these to Corrie I am just writing what might be connected in some way or some other person. Thieves, thief. Getting turned out of something either somewhere or a vehicle? Other thoughts, did this young man have a love rival or did he take a break from a relationship? there are other things that are creeping in but Im not sure if this is just 'white noise' as there have been so many reports/theories and Tarot might be grasping them which unless they are factual must just be thought of as just that ie 'White Noise' only. I also feel there is something about money or his wallet. If he still had it or not. Feel he has no money or lost it or it has been taken? does not want to lose financial independence? not want to lose his money. I feel as though there is some 'shady business' here. Stolen vehicle? seeing no tax/insurance on a vehicle as possibility. Abandoned vehicle. Asking where Corrie might be I am given the Magician. I see the word MILL or WILL. There could be technology near here. Something to do with technology. Im getting somewhere with a B. J. D. R. Those initials, I feel like the word 'hidden' somehow. Water or maybe in a name? I feel with card this disappearance is linked to 'secrecy'. A number 1 is here . No name no place is given which could be somewhere like not a road with a name if that makes sense to anyone. The Magician points North and South but I have East also so East could be the name of an area or maybe North East or South East . I feel as though there is some kind of trickery or possibly criminal activity around this 'place'. One would think of Prison but that might manifest in a different way. Ash? name? Possibly someone with Red Hair. Also see someone with balding thinning hair. Not sure if same person When I say red hair it could be fair sandy with red glints . Possible Hazel eyes. Or name Hazel for a clue. Asking when Corrie might be found this card suggests that he could be. Its a bold victory card and signals that 'the calvary is coming' so I would have imagined that he would be found. I see on this card The Chariot it is a number 7. There could be a vehicle involved. The cross on it might suggest an accident so he could be found by accident. I might be wrong but thats the point of Tarot experimentation that whatever comes out it is later checked with future news reports. Here the 7 could be a date/ timing or a month. Maybe July maybe a route with the word 7 or a distance. A Monday also comes up for something. This card is a 'home' card.I have no idea how this works out but it suggests a field with a fence near what would be regarded as 'home' . So Yes I think he will be found. Horses are in this card. It is significant. Something about a mechanic could come up. I hope this helps but please read all the cards combined and remember that Tarot is an experiment and cannot be considered as a concrete source of information unless there are news reports to back up anything mentioned here in the future. PLEASE CHECK BACK FOR MAP. A Map link is being produced with the following elements. The numbers/distances/routes are 12, 1, 2, 3, 6 and 9. Words Angel, Garden, Eden, Smell, fork in road, church, Mountain, medical, oral, animals, white, garland, roses. Bridge, Scouts, water, summit, peak, light/bright, belt. pets/vets, science, school, college, cliff, rock, campus.Garden, Union. Ash, Elm. Yellow, Red, exchange. Deep Blue, Opal, letter G. Pink. Dolphin Snake Hummingbird. Letter J, Light Blue, Rosemary. Oak. Eagle West. Southwest, North west. Vine Vinery, Water. Water supply. Church. NOTE: Please note I made an error on my original reading which I corrected. I gave numbers 12,1,2,3 and 7.5 for the Knight of Pentacles instead of 12,1,2,3, 6 and 9. The reason was because I counted the Knight as a '13' card instead of a '12 card'. A map was posted on February 4th and I had to take it off to allow for the new elements which are those above and send them to my colleague to produce a replacement map. The new map is divided into links due to the activity on them. They show connections to the areas shown. However, maps are not 100 per cent reliable and when they are produced from the cards it will depend on how my colleague has interpreted them to put the links into a google map as I am not technical enough to know how to provide the link to click!!. Tarot gives the information and we have to see how things spin out. Please find the links below. 1.20am: He then passed a CCTV camera at around 1.20am opposite The Grapes Pub on Brentgovel Street/St Andrews Street. 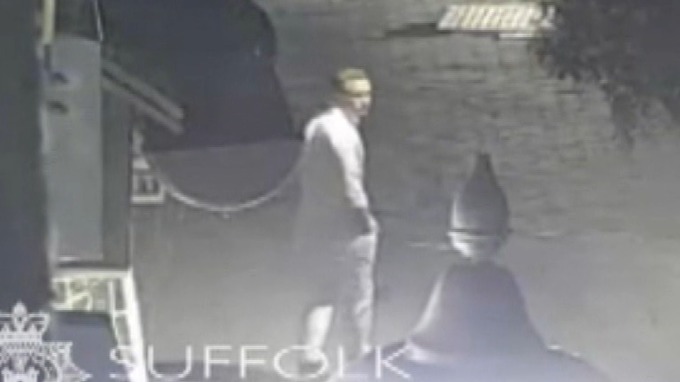 CCTV footage of him eating his food as he passed this camera was later released by Suffolk police. He took a nap for around two hours in the doorway to Hughes Electrical Store (Brentgovel Street/St Johns Street junction). **3.08am: A friend received a picture message from Corrie. 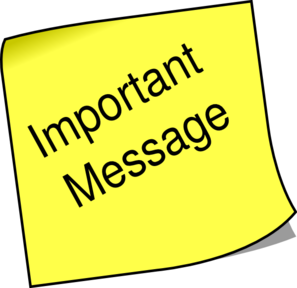 At the time the message was received Corrie is not seen on CCTV using his mobile phone, therefore it could have been sent at anytime during the night. 3.25am: Corrie turned right into a loading/refuse collection area behind the Greggs shop. This is the last confirmed sighting of Corrie. He was never seen leaving this loading area on camera. to search a landfill to find her son. Police are preparing a landfill .. I realise that Corrie has not yet been found. It is out there on Google that no psychic information was needed in this case. I do believe many did submit thoughts and it is understood that the family did not want them. I might be wrong but that is what I have noticed. However, Corrie's case did jump out to me the other day. I did spend some time wondering what to do with my thoughts. I genuinely do spend the time, but cannot GUARANTEE places/location. Reasons are that this is a metaphysical EXPERIMENT, but has produced some interesting results to date. Missing person will only be found WHEN they are found REGARDLESS. When this happens we can compare the information to see what might tally and work on the defective or misguided element for future cases. Tarot does try to tell us all it can but sometimes it is with 'white noise' and difficult to sometimes pinpoint the exact knowledge. I just do what I can with what I get and write it down. Now, I have pulled a further card. When I did I could not make up my mind if it was a location or a 'situation' . I decided to put both elements here. THEY ARE NOT GUARANTEED. Make sure you read my notes at the beginning of this page when referring to Tarot and the link I have left so that you are FULLY AWARE of what Tarot can and cannot do. The card I pulled was this. Now when I have had this card before, I have given a number 15. This number can also be 6, 1 or 5 but sometimes 51 can also come up. These numbers can be Route numbers/ distance or timing or have another significance. When I have seen this before, I have seen chain link fences and references to BLACK. However, I will get to descriptive elements in a moment. As a situation this card can show electric shock, electricity problems, being chained to emotional situations, having addictions, having affairs, not being able to escape from unhealthy situations or people those that tie you into a situation. The bottom line is being in a situation where it is not good or healthy. Work and employment can come up and sometimes it can refer to around JANUARY. Which January I am not sure of only that it can come up around that time. It can show also a personality that is uncommitted to a situation or pairing. In another reading this card showed up as showing someone who might be held against their will, or involved in a situation of 'own choice' but a possible shocking element involved. There could be more than one person involved. The name Michael might come up in some way. I feel like the word 'centre or central' appears but this card does represent often very rural, bushes/landscape/trees type environment. But at what stage? The other thing to remember about this card is the money and the power element. Im not sure why we would be seeing that but if for example Corrie was robbed that might be showing. There was some kind of financial mention in these cards overall. I cannot be sure why money/power show and whether people are trying to get money for finding Corrie. Who knows? 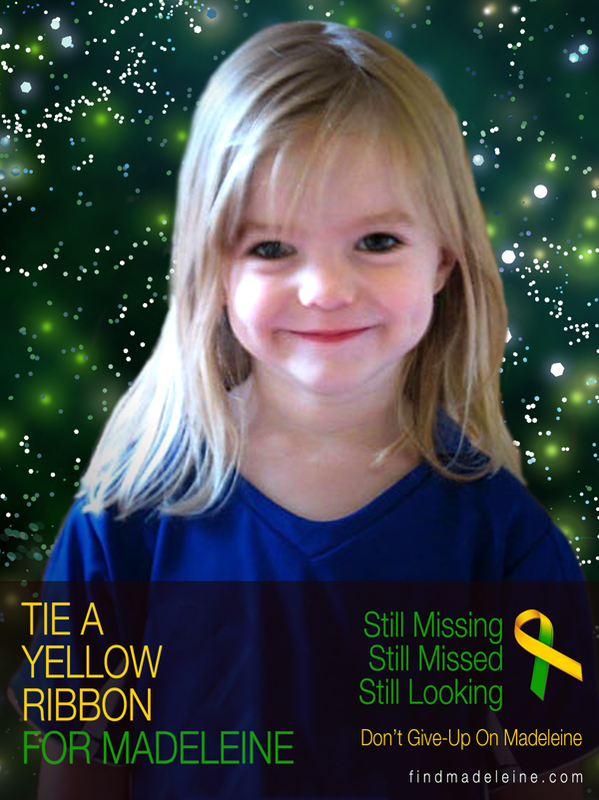 I do not mean that in a bad way, it could be referring to some other situation within this disappearance. Addictions can mean drugs, alcohol, food intake, just anything that is 'bad for you'. I was looking at a map and wondering about an area. I am concerned that I had a HOME marker but I couldnt work out 'how' this tallies at the moment. What I thought was interesting is the ex military soldier element that I was seeing and a pet. Of course that could refer to the fact that Corrie left his dog at the base. Maybe that is just nothing but I mention that. Looking around the areas, and yes, this must be taken with a pinch of salt or else this would not be an experiment, I was looking at the area of Rougham Airfield. I have no idea why but Cattishall which is slightly North , Blackthorpe which is south and the area of Badwell Ash. Cattishall does have a 'stable' connection. You might ask me why I was looking there and I can tell you that the Devil card will bring a Bat. Rougham Airfield and the neighbouring vicinity is around BATTLIES GREEN. Green is a colour that is also associated with this card. I note that there are several companies that are linked to Rougham Airfield and one of them oddly is Biffa. That is quite strange a coincidence as of course we have skips mentioned in the original Tarot and a landfill has been the subject of great concern. There is also a Yacht company. Now it doesnt put blame on companies but it gives clues. Whether it is past present or future is another concern because that is how Tarot will 'roll'. We already have had the connections to Landfill and I understand from latest reports that this search is being stepped down. I will post the news below . Of course by writing this does not mean I am suggesting a location, I am only giving the latest card that Tarot is showing me. Tarot shows me things for a reason. It would be very nice if I had all the information but I will only ever get glimpses of it. I did think about the HOME element and looked up towards Cowdenbeath. I cannot guarantee any location thoughts/connections. It is very unsuitable to make solid suggestion but I simply write things down. Here are some links. Perhaps they are in reference to something else?? OR complete coincidence. My card shows that a SOUTH direction comes up. We have a description possibly of a person or place. This does not say who or where only that these descriptions relate. Someone who is of medium height, not short or tall, thin or not much flesh on the bones, hair is thin, dark hair but it can be white or very pale so either, it could suggest someone who dyed their hair perhaps. Very little colour in the complexion of the person as they are very pale or wan. They may have a prominent bone structure or a narrow chin, but KNEES are mentioned. (Sometimes this can actually be part of the name of a place) However, bones, joints and skeletal structures can come up in this card. Illnesses such as poor metabolism or sensitivity arising from an 'excess of cold' ie rheumatism, arthritis, depression, flu might show up. This does not particularly mean that this is Corrie himself. Tarot does not show who is who because I do not ask that question.It may refer to past news when a skull was found. We have to bear in mind that Tarot is past present and future and these elements may come up as considerations either searched, considered, or to search and consider. Farms, farming equipment, wood stores and places where farm animals roam,fallow or bare land, barren fields, land that is bushy / thorny, or where you are likely to find mud, manure compost etc. Low dark places are indicated. Near to the ground. Ships/sails and places where you would store such equipment may come up. Possibly as 'names' that link in. Walls, garden fences, gateposts and even international borders can be mentioned here. hurchyards and ruins may also show. Confined spaces and waste disposal may also be present at some point. Deserts, woods, obscure valleys, caves, dens, holes, mountains, church-yards, ruinous buildings, coal-mines, sinks, muddy places, wells and houses or offices. Colours Black, dark brown and Grey. A person description shows someone cold and dry , middle height pale complexion, small dark eyes, broad forehead, black possibly unruly hair or straggly, thick nose lips and a stubble of a beard. I will try to get another map posted if possible to reflect these points. Try not to dwell too much on them as they may be describing elements for the map and not for trying to dicipher as people. However this is what I have received. The Devil card can give a link to music via Pan. So I will mention this and perhaps best to read this last card in with the other information given by Tarot. There is no escape from a Devil upright one has to be wishing to get out of that situation so if there are addictions in this situation whoever that relates TO, or may indicate a person who is cossetted too much or does not move OUT of a situation that is over smothering or chains them then they are powerless to break free. We can do that with this card reversed. This boy is linked to someone else, or someone else is addicted to 'something' and it can be anything whether money power drugs any situation and that will be somehow connected to Corrie. Also I feel there is someone who either climbed high or who desired to or desires to. Goats always munch their way up the mountainside and they eat anything. They are not fussy and are actually quite oblivious. That is a little cryptic but then Tarot is letting us know that something unsavoury is afoot in the situation. We sit next to a Tower and we came from 'the centre - central'. When I watched the video of Corrie, could it be that he was waiting around for somebody and double checking. He did not act frightened, he was meandering so clearly had something on his mind. Was someone going to pick him up because he had been drinking? do we know if he was drunk? was he arranging to meet with someone? he does not walk with stride nor purpose nor direction, he is hanging around and/or taking his time for Something. Perhaps somebody didnt turn up?? or perhaps there was someone he wanted to avoid. If he wanted to avoid someone he would not have casually sat in a doorway for a couple of hours to nap. He would have been on the move. Therefore, it seems more likely that he was waiting for a lift or for someone/ a connection / something and casually sauntering to a possible spot to connect. I also want to point out if I did not do so in the original reading, some connection to EX SERVICEMEN. This may be completely wrong of course but if feels to me like a rendezvous. What does seem possible also is that this case is extremely sensitive and must be handled very carefully. Please combine all initial information from original Tarot and read together. At the end of July Corrie's father made a statement that there was 'no need to look for Corrie anymore as he was no longer considered missing' ? it seemed he accepted or at least suggested that it was generally accepted that Corrie had somehow be at the landfill. Roughly 3 days ago it seems the Police were seeking an interim death certificate and I see today there is a report from the Mother who is clearly not happy about the latest events. I have left the report below. 27 May 2017 - The delivery driver has informed police that he saw the missing gunner 66 ... Roy Hawes said he saw a man matching the missing gunner's description ... “I drive that route regularly as I do a morning bread delivery in Suffolk. Dear empathy, I am relatively new to tarot reading but I am struck on how many of the cards that came up for you are the same ones that came up for me. I have never seen him at the landfill, I saw building site. The devil card has also appeared - my thoughts are that there were "addictions" of some description. I also got a scuffle broke out, something got out of hand. Money and power are linked - as is a powerful car. I feel one younger person who is in his 20's but emotionally immature was involved but his parents ( who I feel are business people, relatively wealthy, they have friends in power - possibly police or judicial system??) know something happened and have not come forward. I think too that he will eventually be found.